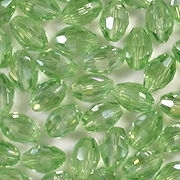 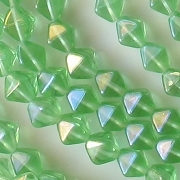 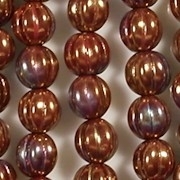 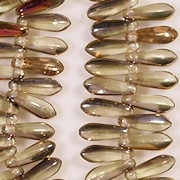 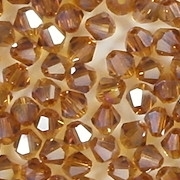 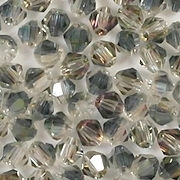 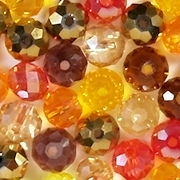 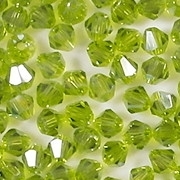 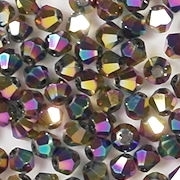 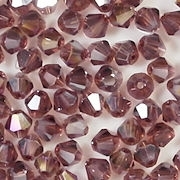 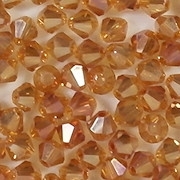 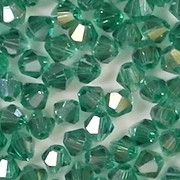 "Iris" beads are iridescent or multicolored. 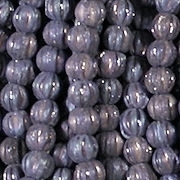 I distinguish them from AB (aurora borealis) beads, which are mostly silver with iridescent qualities. 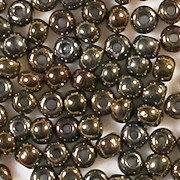 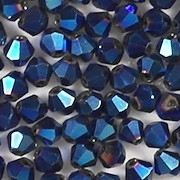 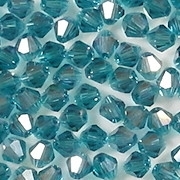 Iris beads come both in dark, opaque colors, and in light, translucent colors.